In business we like to Zoom! Knowledge is power and power makes you ZOOM! One of my favorite features of Twitter is the easy access to filtered knowledge. Twitter is a great source of knowledge and puts valuable resources to better understand your market, competition and trends within a few clicks. Use Twitter to better understand your target market demographics, needs, pain points, questions and even the products, services and brands they are interested in, talking or complaining about. If you are new to Twitter or a Twitter addict LISTENING should be something you do on Twitterly basis. A big mistake in business is not being aware of the trends and what your market, partners and customers are up to. Knowledge is one of the most powerful assets in business. Twitter puts knowledge at your fingertips in real-time and adds a personal communication and personal layer on top of what you'll find with a basic Google search or corporate website. Below are some quick tips to help you maximize your Twitter listening time. 1. Create a listening plan that supports your marketing and business objectives. -Identify keywords, competition, partners, products and data that can be used to filter your findings. 3. Educate yourself on the tips and tricks of listening. All tools are not created equal! -Leverage #hashtags, Twitter lists, trends to maximize time spent. 4. Develop a method for capturing the valuable knowledge you obtain. -Ensure you have a tactical process for capturing the knowledge you find. Setup folders in your browser based on topics, market segments, competition etc. 4. Research listening tools and choose a few that best support your objectives, available time and technical know how. -Love this tool. An easy way to find fellow Twitter peeps based on keywords, geographical areas and even zip codes. 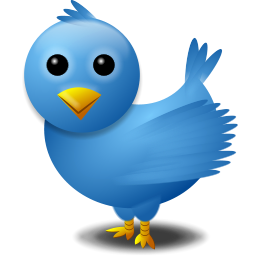 -A great general Twitter search tool. -Create your own Twitter lists and follow others. You can even setup RSS feeds of lists. -An easy way to access Twitter users in your area. Twitter users are ranked by # of followers. A great way to connect with and learn from top Twitter users in your community. -Not only can you search by #hashtag, blog etc. but you can also find common Twitter followers among 2 or more Twitter users. -Great tool for following hashtags and key words. Also very useful as a Twitter chat tool when on a webinar, teleconference etc. If everyone on the call uses an identified hashtag you can automatically capture all tweets for that topic. Increases interaction and engagement. -Setup alerts on topics of interest. You can then receive email notifications. -Lookup hashtags and see trends. -Great tool for matching an unknown hashtag with what it is. -Tracks lists, enables you to request to be added to a list etc. I found about this site from having Twitter peeps request to be added to my lists. Open up your ears and leverage the power of Twitter know your customers and market! Have fun zoomin' folks! I know there are many other tools. This is not meant to be a comprehensive list but instead a few of my favs. Please share your favorite tips and tricks to help other peeps! Pass it on….